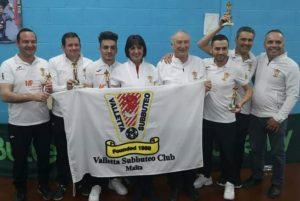 Valetta SC capped off a great weekend at the England GP when they won the team’s event at the England GP with a 2-0 win over Austria’s TSC Royal 78 Kaisermühlen. The previous day, team member Derek Conti won the Open event, Jurgen Balzan won the U19 and Sam Bartolo was a semifinalist in the Opens. 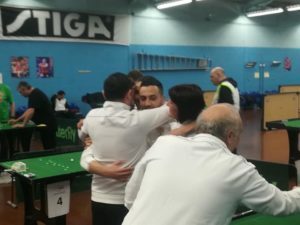 In the team final, with two tight 2-2 draws, it was down to Jurgen Balzan, the recent recipient of a SportMalta youth development grant, to push his team forward with a 3-0 win against Eliot Bellefontaine. Samuel Bartolo got the other win with a 1-0 result against Alexander Haas. 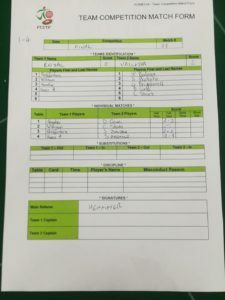 Well done to all players and referees, and especially to the organisers.